hd00:12HD 1080p clip with a slow motion waving flag of Fiji. Seamless, 12 seconds long loop. 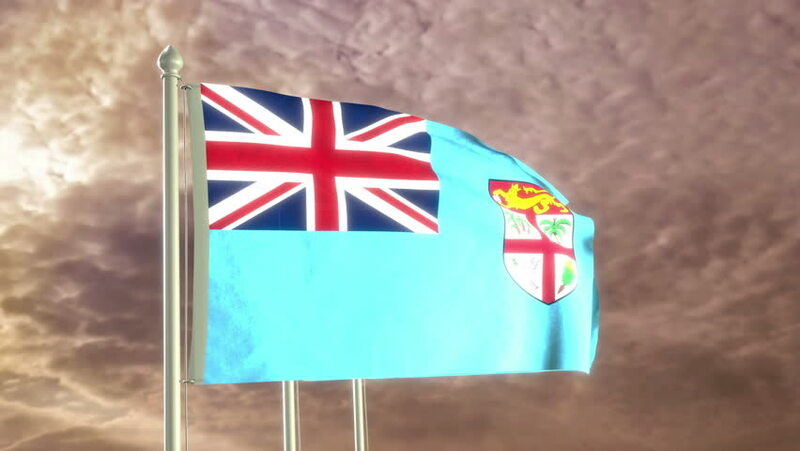 4k00:133D animation of a UAV drone watching a Fijian flag waving on a flagpole; depicting the increased use of surveillance for security purposes. 4k00:133D animation of a Fijian flag waving on a flagpole as razor wire appears in the foreground; depicting the increase of barriers between nations. 4k00:133D animation of a Fijian flag waving on a flagpole, bright blue animated sky and motion blur for dramatic effect. 4k00:133D animation of a fighter jet flying past a Fijian flag waving on a flagpole; depicting heightened military activity.